A Federal law passed in 1908 to protect injured railroad workers is known as the Federal Employer’s Liability Act (FELA). This law is applied the same in all states no matter which railroad you work for. The only difference is that each state has different procedures to get to court. Your lawyer may choose Federal or State courts. Railroad workers injured on the job must settle or sue for their injuries, lost income and pain and suffering. This law requires that a railroad worker prove some fault on the part of the railroad, it is not a worker’s compensation law. Experienced lawyers are required for your FELA railroad injury case. Example: If your lawyer proves the railroad was at fault, in whole or in part, no matter how small, then the injured employee wins the case. 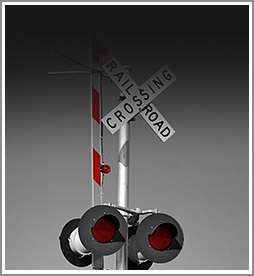 An experienced railroad personal injury lawyer can usually prove the case as the law is designed to help the injured worker. Even if the railroad worker was partially at fault, there is still a case. Eddie Wilson and Francis Hajek have represented thousands of railroad workers with great success. There are other parts of safety laws that attach to the FELA, called the Safety Appliance Act (SAA) and the Locomotive Inspection Act (LIA). These require the railroad to keep their equipment, such as railcars and locomotives in good working order. If any piece of this equipment fails to operate as it should operate, the railroad is absolutely liable for an injury caused by the defective equipment. Once an experienced lawyer has proved this the only issue left is the amount of the verdict. These are covered by FELA. The injuries covered are generally asbestosis, whole body vibration injuries to the back and hips, lung diseases, hearing loss, carpal tunnel, and repetitive motion injuries. All injuries and illnesses are covered that can be related to the railroad occupation, which are caused by the railroad knowing, or showing they should have known, such conditions would cause injury. Example: Mesothelioma is caused only by exposure to asbestos. This shows up years after the exposure. For years the railroad had equipment and buildings that were asbestos laden and exposed their workers to this deadly disease. The railroad knew or should have known of these dangers and now they must pay the workers. There is even evidence that the railroad knew of the danger to railroad employees but chose to ignore that information. Experienced railroad lawyers make the railroad pay for what they did to the workers. Railroads must furnish their employees a reasonably safe place to work, both on their premises and on the premises of a third party. Example: A siding with dangerous walking conditions, or close clearance, that causes an injury, the railroad must pay. Railroads must furnish reasonably safe equipment for their employees. Example: If the railroad fails to maintain switches, walking areas, they must pay. There are many areas in which the FELA covers an injured railroad worker. These include physical injury, mental injuries, and occupational injuries. Contact the law firm of Wilson & Hajek to have all questions personally answered by an experienced railroad injury attorney at no cost or obligation.